When Ronny considers moving away from his close-knit, sports-crazed family, his father surprises everyone when he offers him a job as his assistant basketball coach. After meeting his boyfriend’s very affectionate family, Ronny tries to encourage his own family to share their feelings with one another. Meanwhile, Ronny makes a surprise video for Marjorie and Arthur when they celebrate their 35th wedding anniversary. Upset that Arthur chose Ronny to be his assistant coach, Sean and Gerard apply for other coaching jobs and wind up competing against each another. Meanwhile, Marjorie becomes jealous when she thinks Ronny has a boyfriend. The family tries to support Jackie when her doctor give her a list of things she cannot do while pregnant. 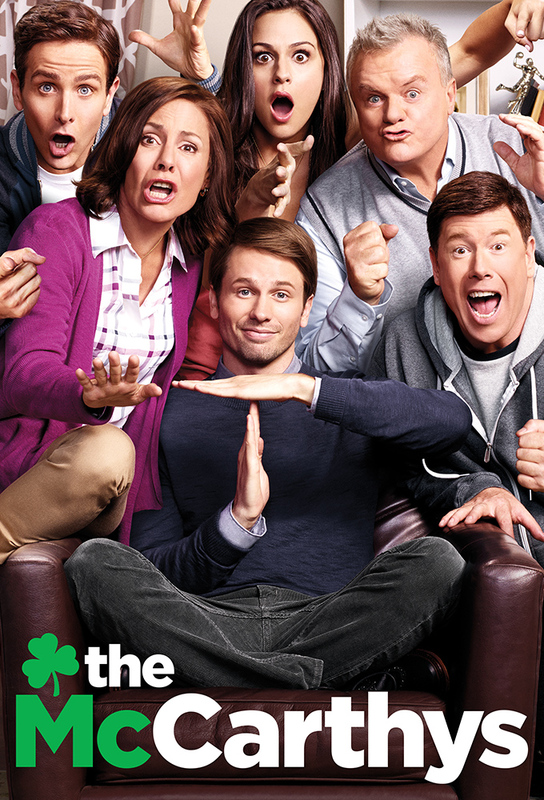 On Thanksgiving, the McCarthys work together to manipulate Gerard into parting ways with his offensive girlfriend. When Marjorie learns Jackies ex-boyfriend is gay, she tries to fix Ronny up with him. Also, Sean gives Gerard a birthday gift that proves to be disappointing to everyone but Marjorie. When Marjorie learns she needs to spend the night in the hospital, she fixes Arthur a care package with instructions on how to perform basic life skills. Marjorie invites her heartbroken upstairs tenant, Pam, to celebrate Christmas with the family--and observe their competitive gift exchange game. When Marjories extremely competitive sister, Eileen, comes to visit, their rivalry gets the best of them. Marjorie tries to protect Gerard from getting his feelings hurt by leading him to believe he was inducted into the High School Hall of Fame. Also, Ronny works with Arthur to write a speech honoring his late assistant coach and Jackie’s baby-daddy. When Ronny dates Doug, a handsome ref who has a history of infuriating Arthur, Ronny invites him over for dinner to convince them he is a nice guy. Meanwhile, Katrina is worried Gerard is cheating on her when he begins acting suspicious. When the McCarthys realize they have become extremely dependent on one another, they make a family bet to see who can be independent the longest. Meanwhile, Jackie hides her pregnancy while on a date. When the family finds out that Ronny sees a therapist, they crash his appointment and wind up in an impromptu family session where they air their grievances about one another. The McCarthy children are sent into a frenzy when they each try to prove they are responsible enough to be appointed executor of their parents will.